Both dementia with Lewy bodies and Parkinson’s disease dementia (PDD) are considered Lewy body dementias, but there are differences. The most significant difference is in the “one-year rule” associated with cognitive symptoms. People with Parkinson’s disease typically do not show cognitive issues until at least a year after mobility symptoms begin. DLB is the exact opposite, with cognitive symptoms presenting themselves around a year prior to movement issues. Intensifying dementia – Increasing confusion and decreasing attention and executive function are common. 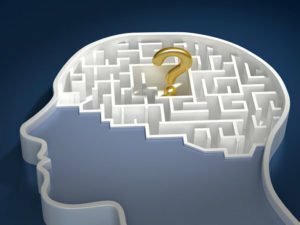 Memory impairment might not be obvious during the early stages. Frequent visual hallucinations – These are commonly complex and elaborate. Hallucinations of other senses – Touch or hearing are probably the most common. REM sleep behavior disorder – This can show up years ahead of the onset of dementia and Parkinson’s. Recurring falls and fainting – Including undetermined loss in consciousness. Other psychiatric disruptions – Most of these vary from patient to patient. Is a proper diagnosis really important? Diagnosing DLB swiftly and accurately could possibly mean the difference between life and death, according to Howard I. Hurtig, M.D., Chair, Department of Neurology, Pennsylvania Hospital and Elliott Professor of Neurology. Incorrectly treating DLB with medications normally prescribed for Parkinson’s disease will not only lead to significant adverse side effects, but could even aggravate symptoms and prevent effective symptom management. Find out more about the distinctions between Parkinson’s disease and dementia with Lewy bodies from ScienceDaily. Hired Hands Homecare delivers high-quality elder care in Marin and the surrounding counties. Contact us at 415-884-4343 to set up a free home care assessment or to find out more about the ways we can assist your senior loved one in the comfort of home.